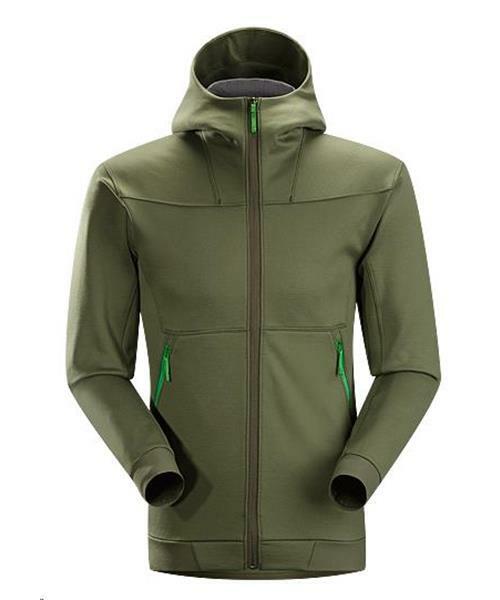 Combining contemporary looks with performance fabrics and design, the Straibo Hoody travels from a day on the mountain to a relaxed evening in town. The full coverage hood delivers extra warmth, a low profile cuff layers comfortably under a shell, and two zippered hand pockets securely store small essentials. Arc’teryx Cobblecomb™ fleece combines the warmth and moisture wicking properties of polyester with the stretch performance of elastane fibers to deliver effective thermal regulation and freedom of movement. The fabric’s durable twill textured face resists pilling, and has a soft fleece backer for warmth and comfort.